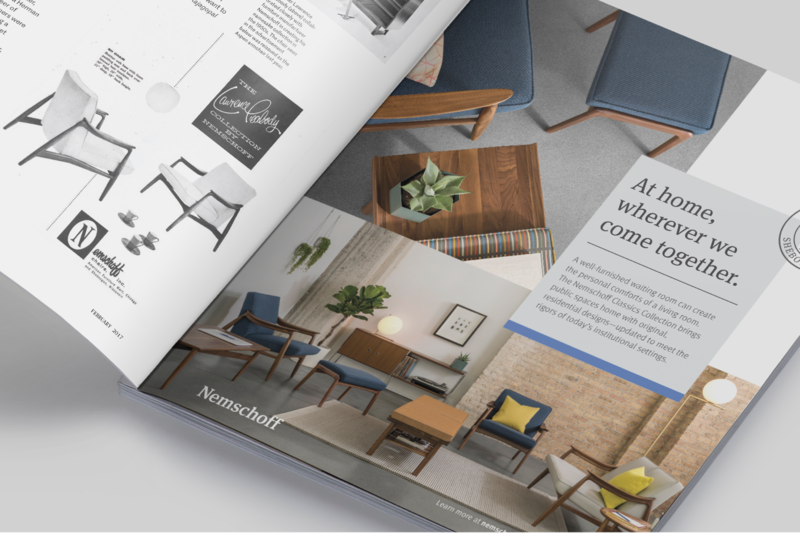 Brand strategy, Identity development, campaign and communication design for Nemschoff, a 60 year old furniture company from Wisconsin that recently joined the Herman Miller family of brands. 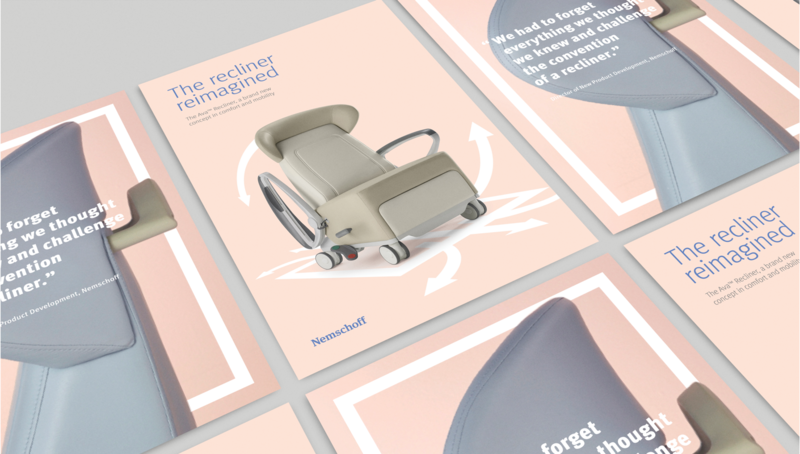 Nemschoff, a leading manufacturer of healthcare furnishings, was looking to solidify their industry status while expanding its offering to reach new audiences. 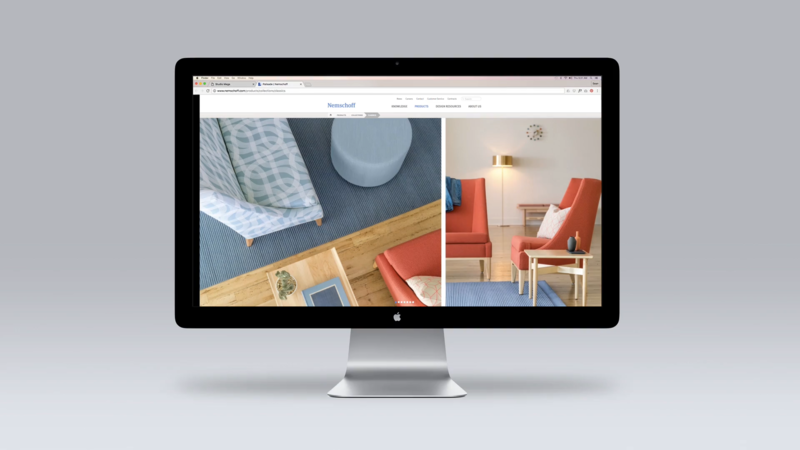 We worked with stakeholders at both Nemschoff and Herman Miller to help bring clarity and distinction to the Nemschoff voice while also leveraging a clear alignment with their parent company. 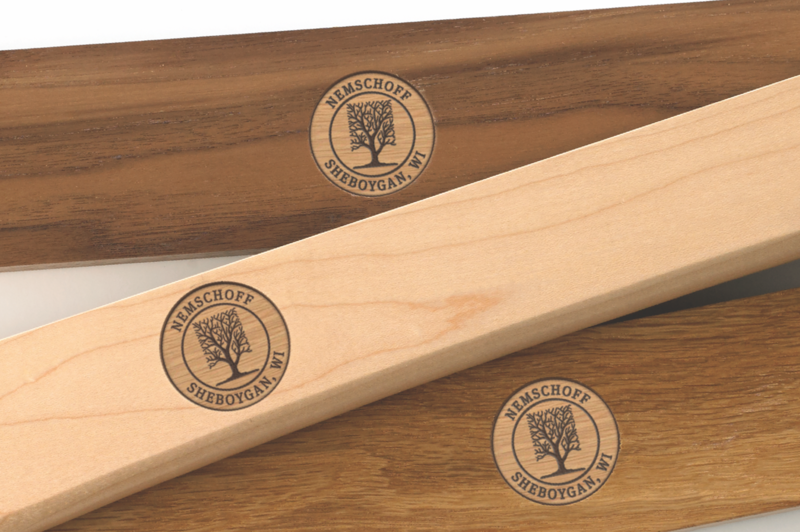 The Classics Collection from Nemschoff was a new offering that dug into the company's history, unearthing modern designs from over 50 years back to redesign with their current materials and technologies to create contemporary pieces made to stand up to the rigors of public use. 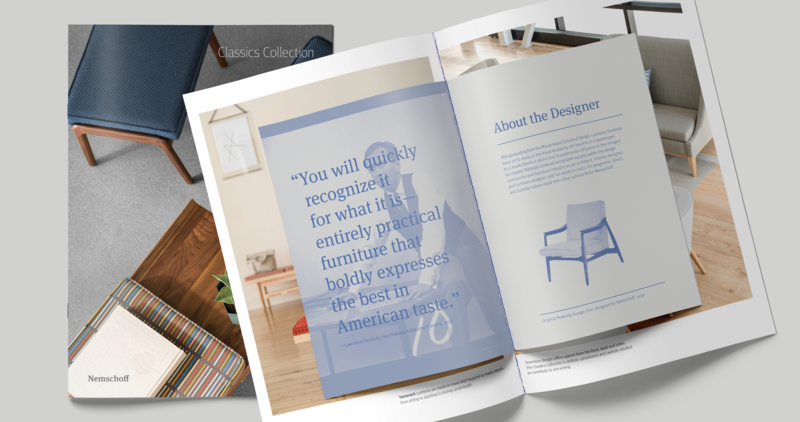 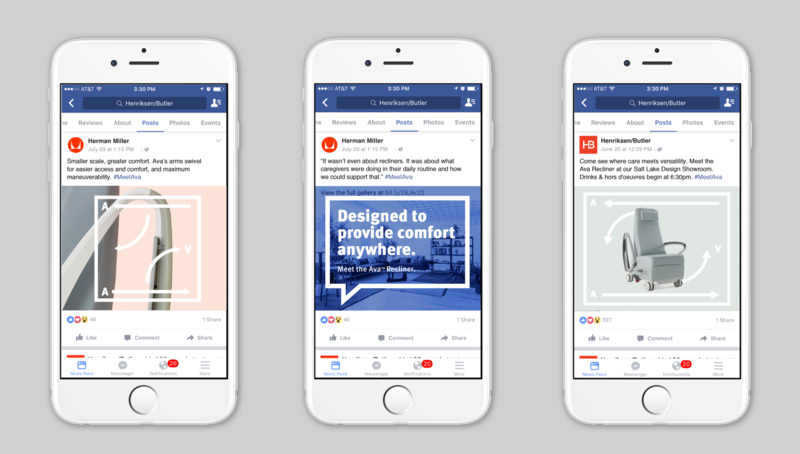 We worked with them to develop both the visual language and the messaging that extended to web, print, one of Nemschoff's most extensive marketing campaigns to date. 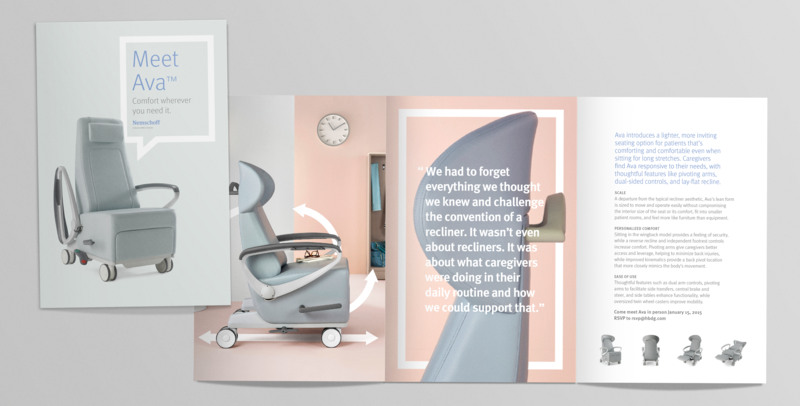 We also partnered with Nemschoff to develop the visual direction and launch communications for Ava, a completely reimagined recliner developed for the healthcare industry.